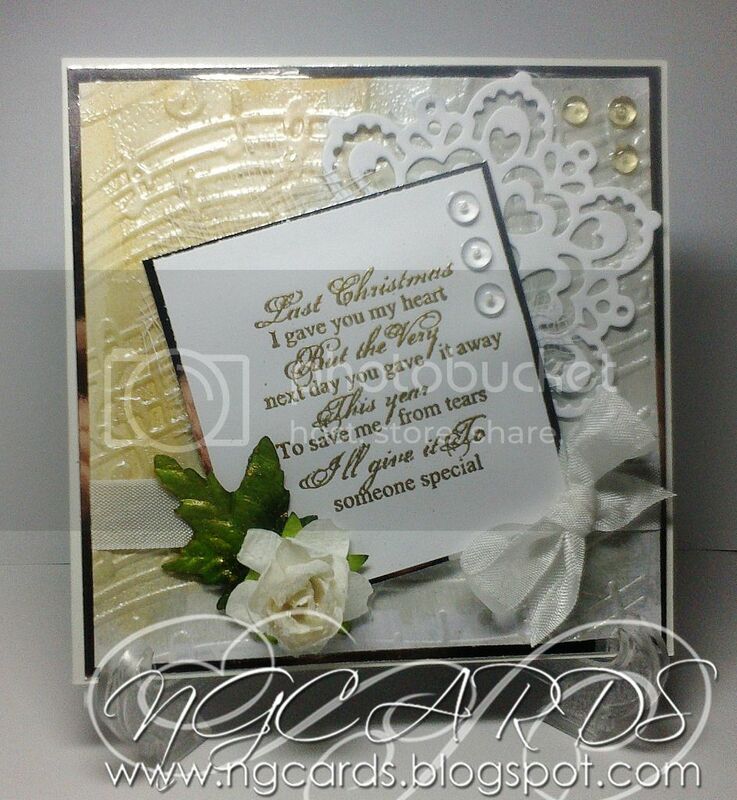 This week we will be sharing creations with the theme of Elegance with Spellbinders! To start it all off I have used the same technique as I did last Monday for my card and created a Design Paper using Spellbinder's M-Bossabilities. 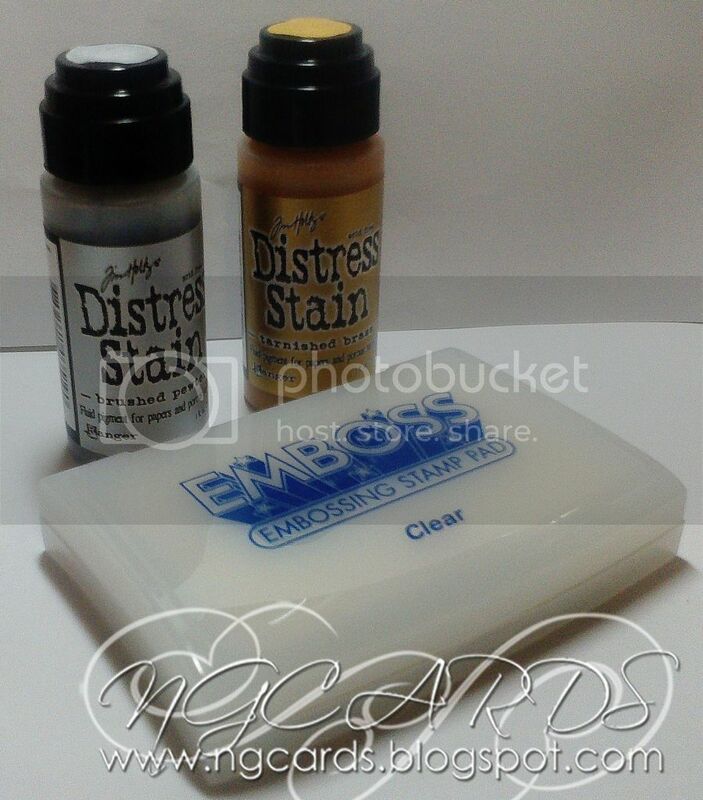 To create the background I spread Gold & Silver Distress Stain all over a piece of white card-stock trimmed to size, embossed with a Spellbinder's M-Bossabilities Folder and finished it off by embossing it once more with a Silver Pearl Powder. 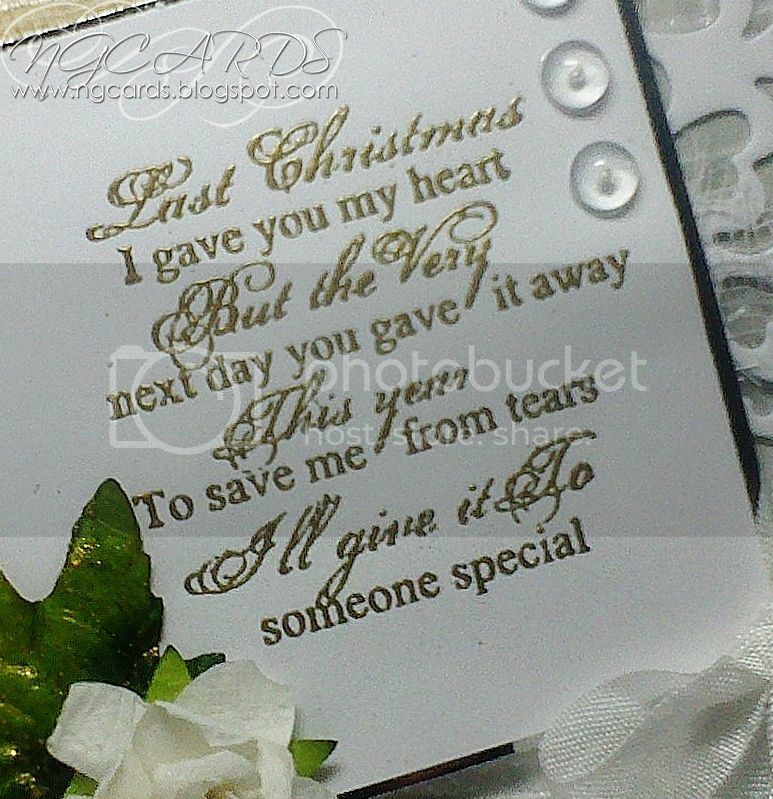 To create the rest of the card I stamped my sentiment in Emboss It Ink and sprinkled Gold Embossing Powder over the top. I glued this down over the top of some cheesecloth and a Marianne's Designs Snowflake die cut. 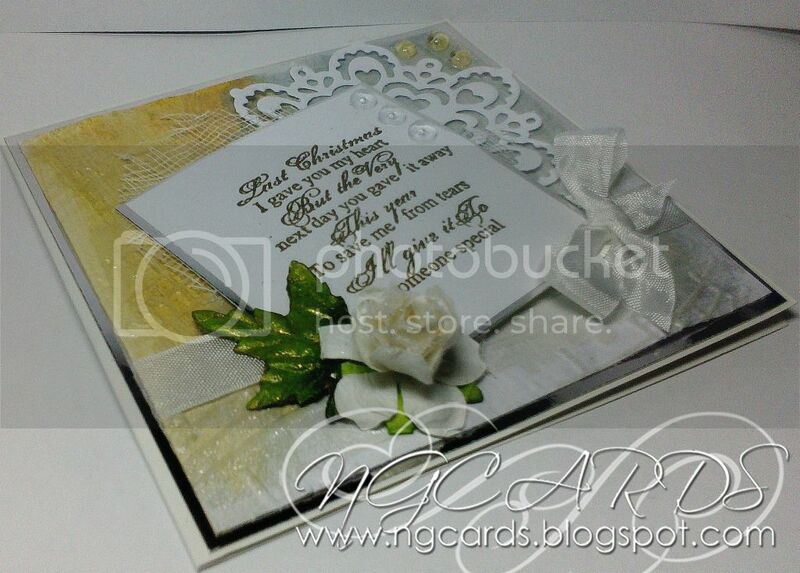 To finish the card I embellished it with some seam binding ribbon, a Prima gold glittered leaf and a white rose!